370 Danforth Street. An aesthetic disaster with a historical precedent. This is one I have wondered about for some time. What is going on here? 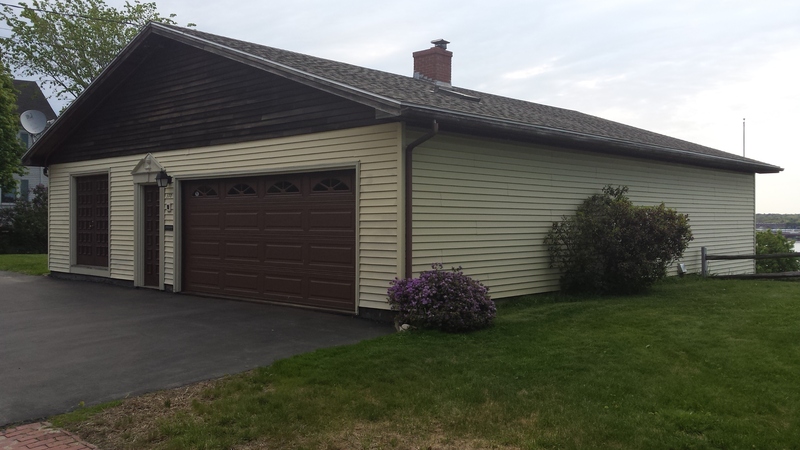 Is it a house or just a garage? Who would put such an ugly structure on such a beautiful street? The satellite dish is a give away to this being a house. Tax records show the structure was built in 1979 and it is in fact a home. From the street all we see is a big garage door, a standard entry door and a set of double doors about 8 inches off the ground. Very odd indeed. The sides are no better looking. 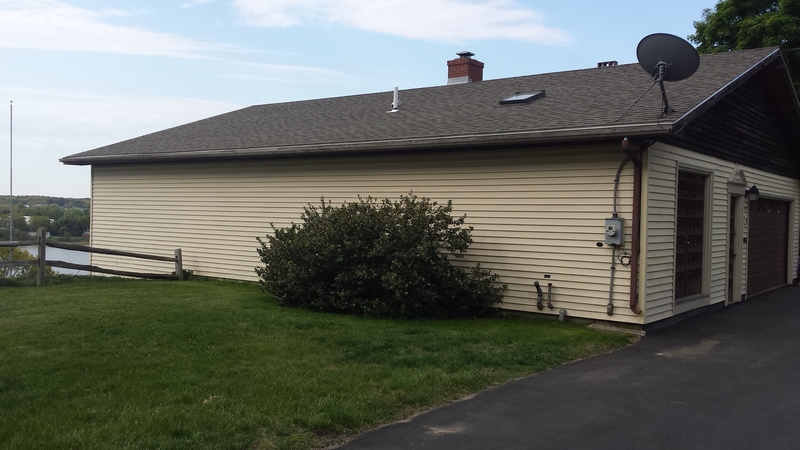 Old yellow vinyl siding and NO windows at all. Talk about turning your back on the neighborhood. Nothing to see here either. I am guessing it has allot of glass on the harbor side but have yet to get a good view of that side of the house. 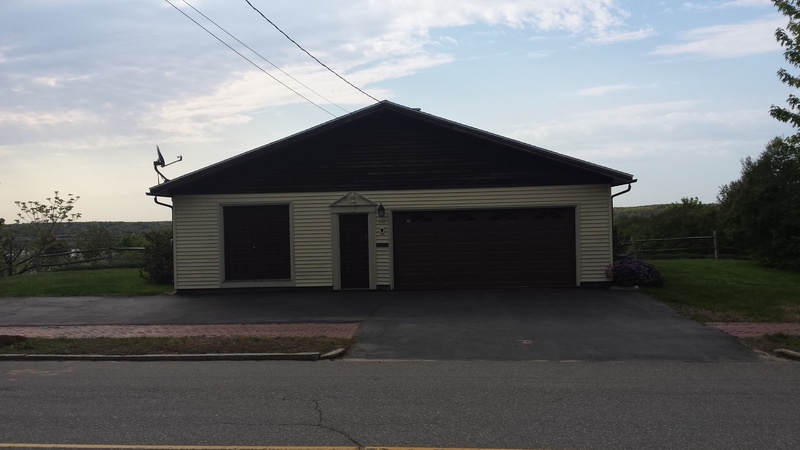 Regardless, this is really a garage and an ugly one at that. Now for the historic part. 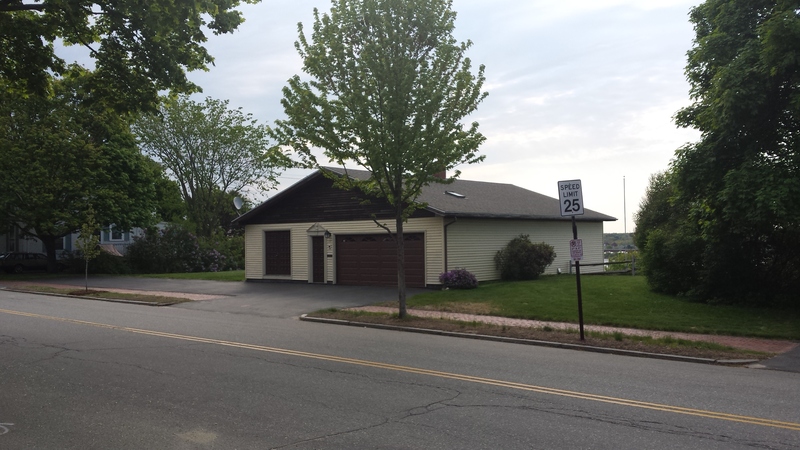 The 1924 tax records show the property was owned by the Sebago Lumber Company and was used as stables and a garage. Some things never change. In 1924, the land was valued at $2431.00 and the building valued at $1235.00. 2014 valuations were $315,000.00 and $111,000.00 respectively. This entry was posted in Architecture, Danforth Street, Fail, Images, West End Walks and tagged Architecture, Bad Architecture, Fail, Portland, West End on May 25, 2015 by alewifecove.